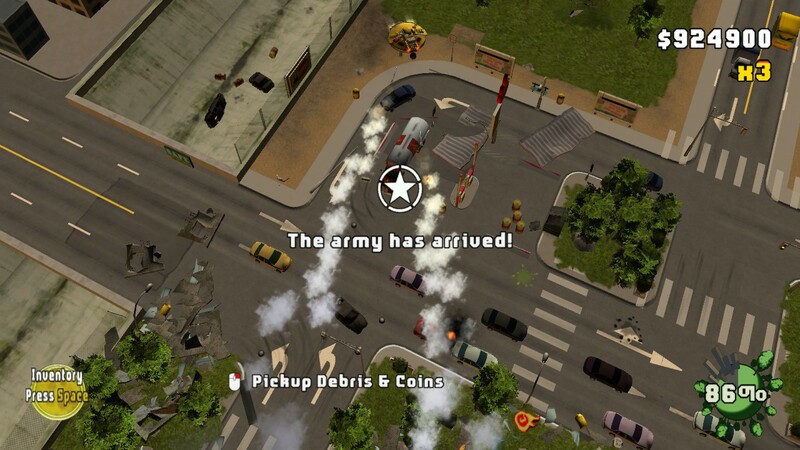 Demolition Inc., developed by Zeroscale, is a unique action strategy game where you play as an intergalactic demolition company. Just that was enough to get me interested in this one. I’m not your average FPS / RPG gamer. 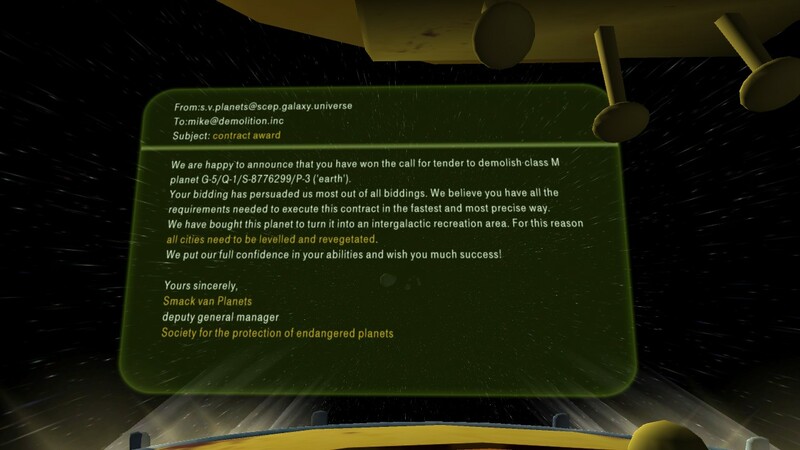 The games that really pique my interest are the puzzlers with unique concepts (Portal anyone?). 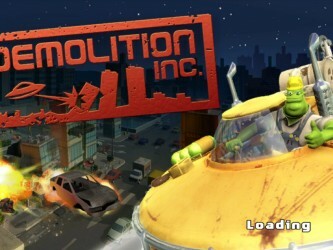 While Demolition Inc. isn’t the most difficult puzzle game, it makes up for it in good old-fashioned destructive fun. The visuals of the game aren’t anything to write home about, but they do their part. Your spaceship glides above the current city / “demolition site” while cars, trucks, other vehicles drive around the skyscraper landscape below. The models are well done, clean, and suit their purpose. As you maneuver your ship above the city, you use the limited weapons you’ve started with or collected to wreak havoc below. 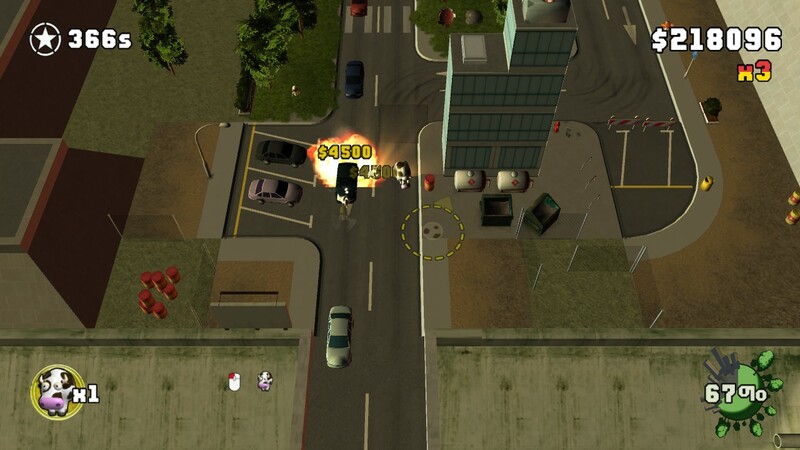 The primary mechanic of the game is to use your weapons as obstacles to send the vehicles below crashing into the surrounding buildings. 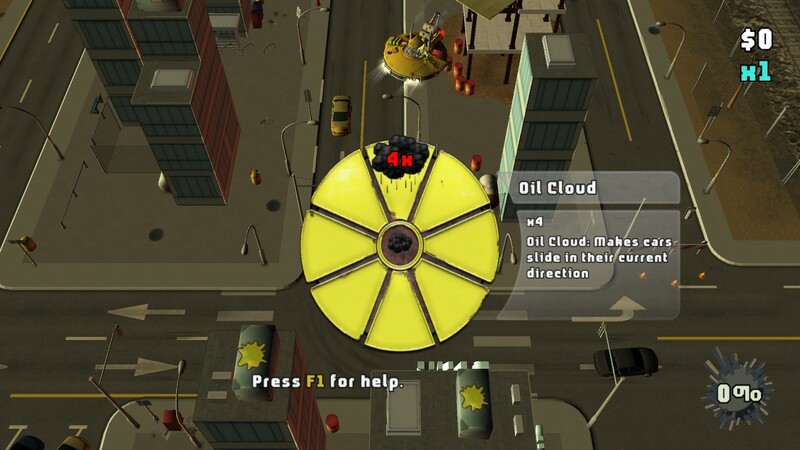 The first few levels start you off with an oil cloud to drop oil on the road, causing cars to speed straight ahead without the ability to break, wheel glue to swerve them into strategic directions, and, of course, explosive cows. I mean, come on! Explosive. Cows! The game only gets better from there. 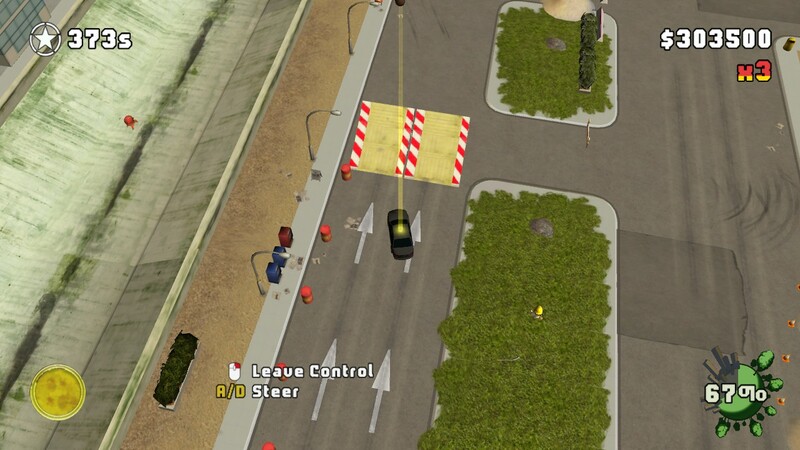 Later on in the game, you get access to another ability where you’re able to take control of a selected car below, driving it around the city, GTA1-like. 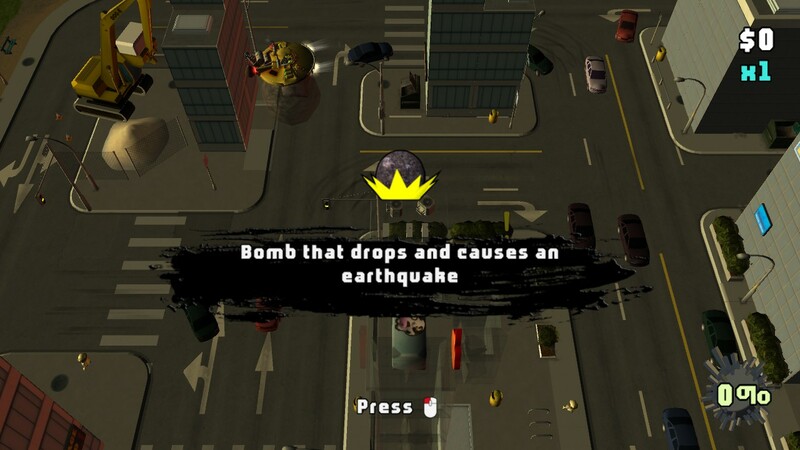 In addition to the mayhem-causing arsenal, as you progress further through the game, you gain more “hands-on” destructive weapons like an Earthquake Bomb and a giant Wrecking Ball. Each level starts you off in a district of a larger city. 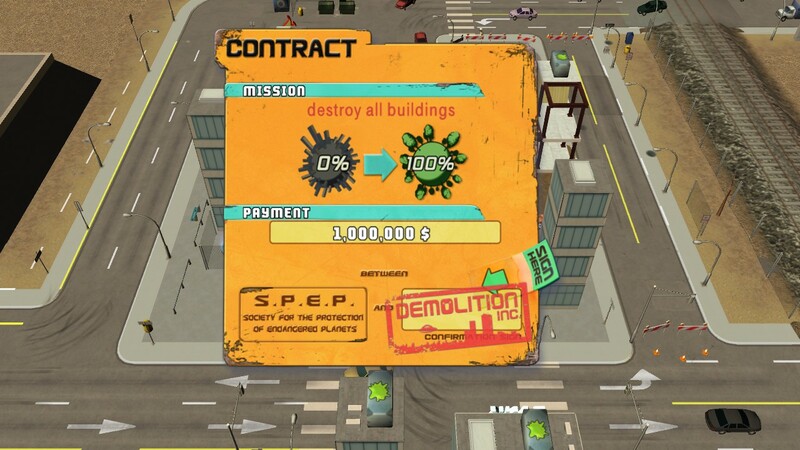 Your goal is to destroy each and every building within the city before the timer runs out. 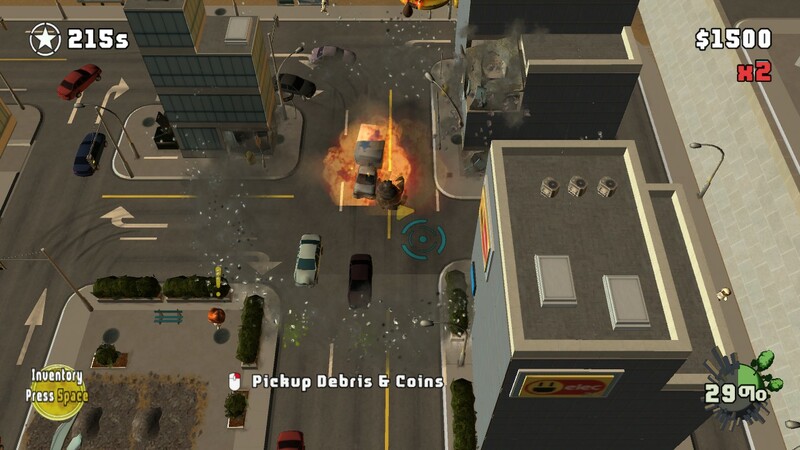 when the timer runs out, the army has arrived… and that doesn’t bode well for Demolition Inc.
One of the interesting pieces of gameplay in Demolition Inc. is the debris left behind by your destruction. If any of it lands in the streets nearby (as it practically all does), you’ve gotta pick it up to gain its resources AND allow the traffic to keep moving. 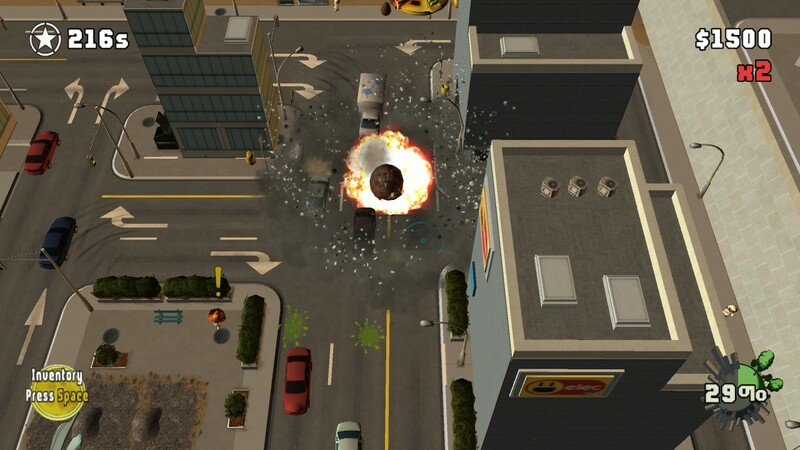 Gridlock can be beneficial by allowing you to keep a street clear to avoid collisions, or it can become a problem when you need an oncoming car to destroy the last building nearby. While the description of the game was enough to get me to play this one, the sound is one of the first things that got me to keep playing. 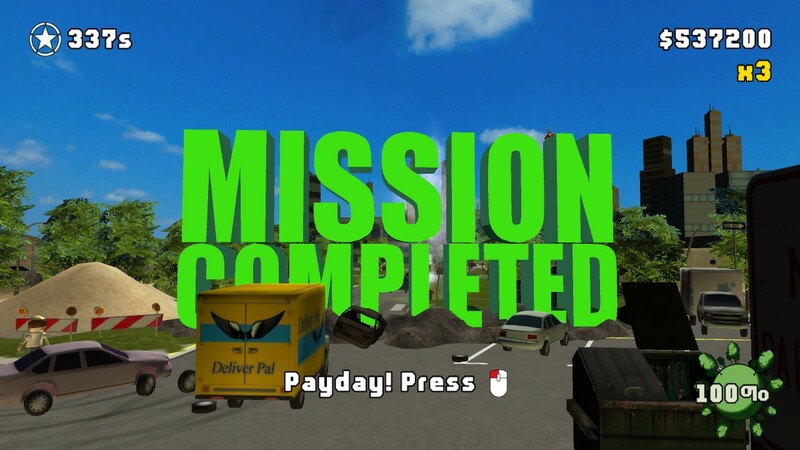 Like the visuals, the sound effects in the game aren’t anything special, BUT the soundtrack is. Right off the bat, during the intro video, a song VERY similar to Offspring’s “Come Out & Play” starts playing. While Zeroscale may not have the funds for the actual song, the one utilized in the opening sequence was mood-setting enough for me. 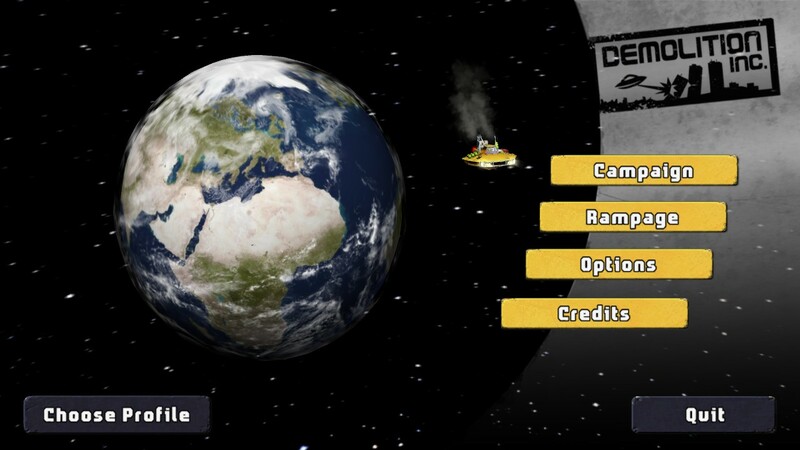 If you couldn’t tell from the review thus far, you play as an intergalactic demolition company tasked with destroying the Earth district by district, city by city to make way for a new recreation area (if only it were a hyperspatial express route…). 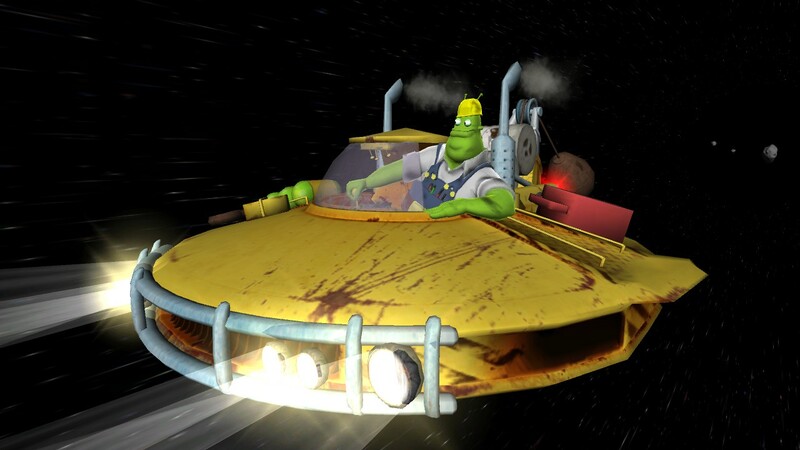 Your company, Demolition Inc., has won the bid for the project proposed by Smack Van Planets and are sent to work immediately. While the story is a little thin, it was fine by me. I don’t really need a reason to bring about the apocalypse through hellfire and brimstone, hear that Rockstar?? 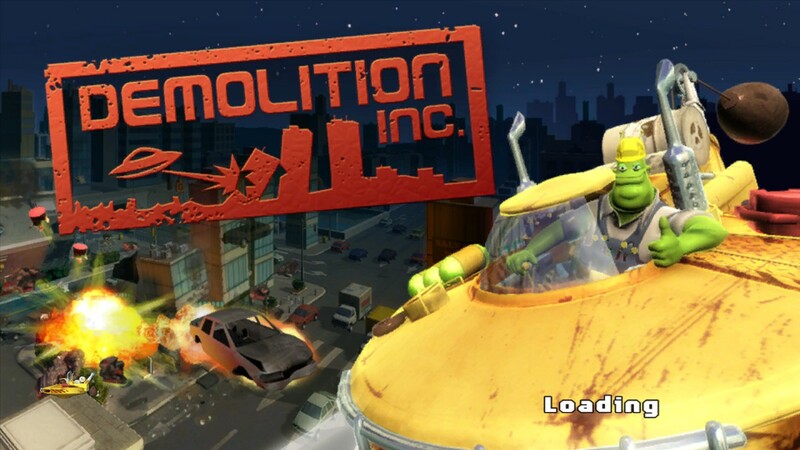 All in all, Demolition Inc. is a fun game where you can lose a few hours destroying the Earth piece by piece. So why not? 8.5 / 10: An intergalactic demolition company knocking out cities building by building with giant wrecking balls and explosive cows? ‘Nuff said.